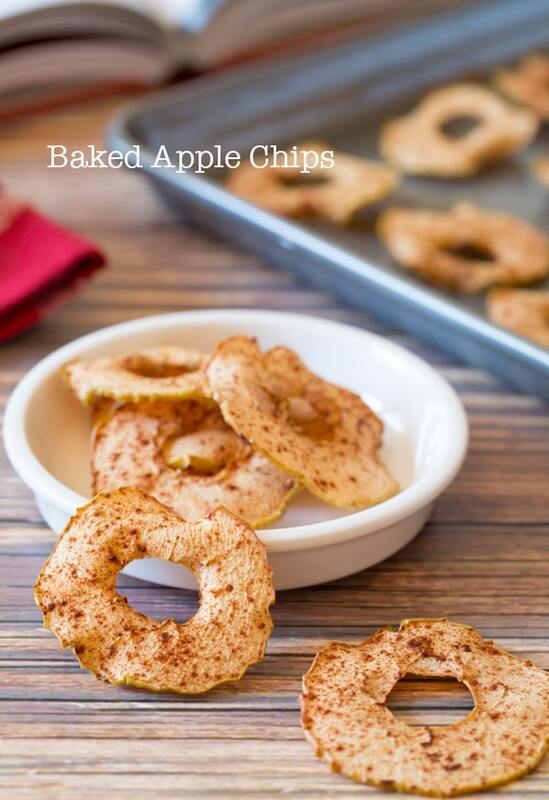 Easy baked apple chips that you can feel good about serving your family. These crunchy little chips are low on fat and high on flavor! It’s apple season, the most glorious time of the year. And now that apples are big and glossy, hanging low on their drooping branches, it’s time to use them in every possible way you can imagine. We use apples in desserts and salads on a regular basis, but have you ever thought of turning them into homemade chips? Me neither. 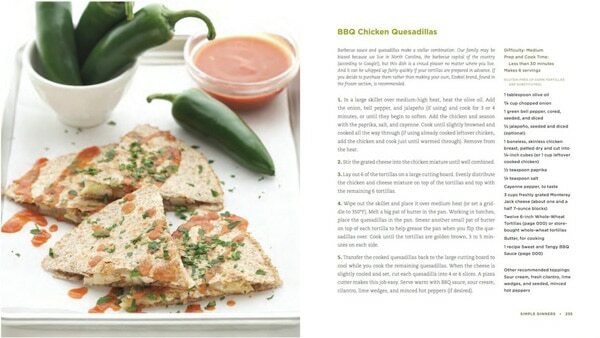 I found this recipe in my friend Lisa’s brand-spanking-new cookbook, The 100 Days of Real Food Cookbook. I met Lisa and Jason Leake last year at a blogger event and loved them instantly. 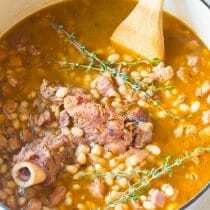 Not only are they fellow North Carolinians, they are passionate about eating clean and living healthy, as you can see from their very popular blog 100 Days of Real Food. Lisa has worked endless hours to develop her first book: one-half guidebook on how to eat clean (from reading labels to meal plans) and one-half cookbook with countless simple, clean, and tasty recipes. This book is filled to the brim with ideas of how to plan, cook, and enjoy real food. That’s is, unprocessed foods without all the muck added in for shelf-life. There are 100 fabulous recipes, many of which are gluten-free, vegetarian, dairy-free and freezer friendly. 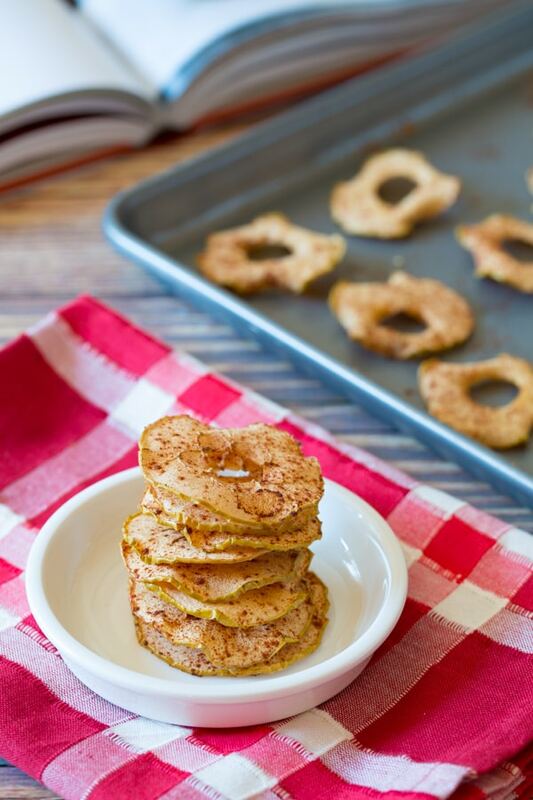 The first recipe I tried from Lisa’s beautiful book are her baked apple chips. 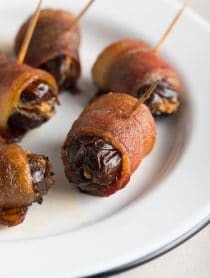 Crispy, sweet, and full of goodness, this recipe made me wonder why I haven’t been making my own baked chips all along. You simply slice apples very thin and remove the cores. Lay them out on a buttered baking sheet and sprinkle with cinnamon. 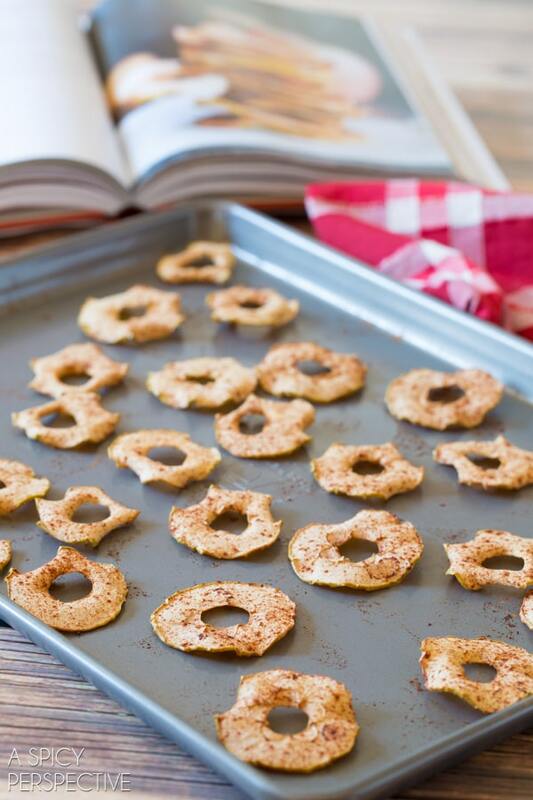 Then bake the apple slices until crisp. Easy right? Oh my word, are they good! This recipe makes 2 regular servings of baked apple chips, but once I tested them, I wished I had made a quadruple batch. 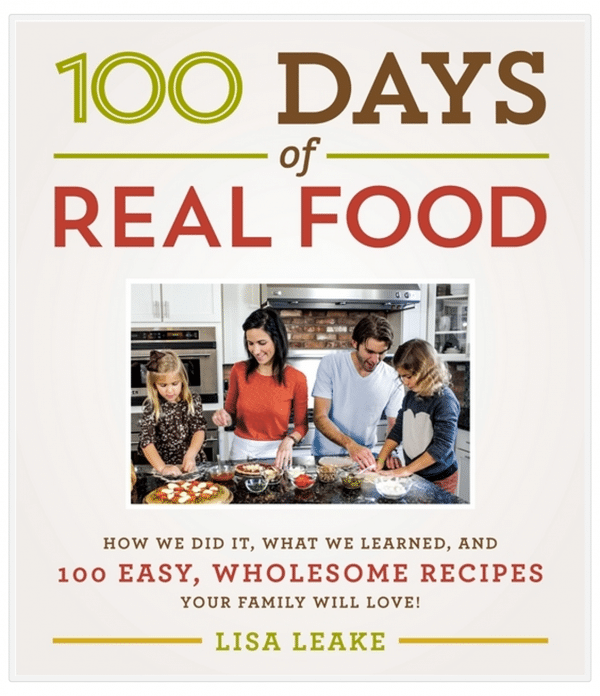 To get your hands on the 100 Days of Real Food Cookbook, visit Amazon or Barnes and Noble. 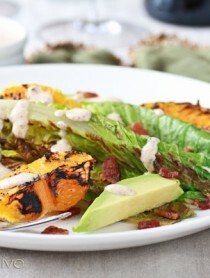 Lisa’s guide to clean eating is a must-have in any healthy kitchen! 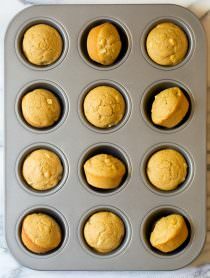 Preheat the oven to 250 degrees F. Generously butter a large baking sheet. On a cutting board, turn an apple on its side and cut into very this slices, about 1/8 inch thick. (I used a mandolin.) Using a small cookie cutter, cut the core out of each apple slice and discard. 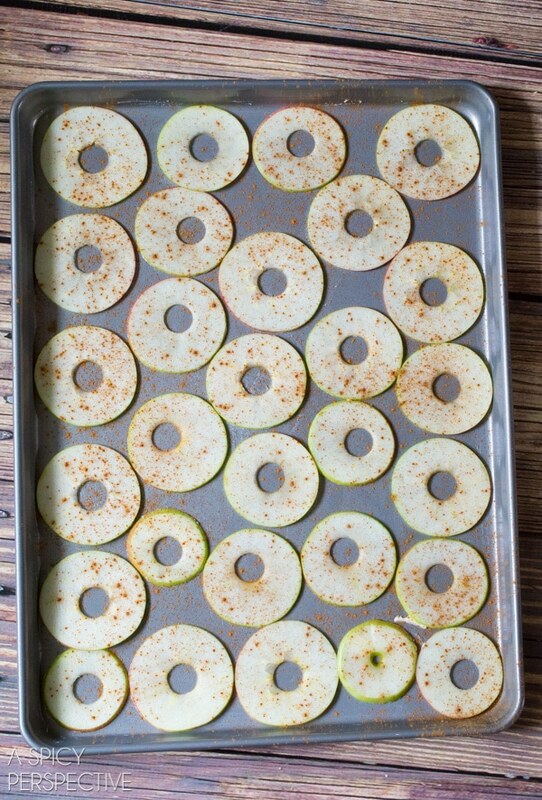 Spread the apple slices out in one layer on the baking sheet. Sprinkle with cinnamon. Bake for 30 minutes, flip the apple pieces over, and bake for another 30-50 minutes until crisp. Depending on how evenly you sliced the apples, some may be done sooner than others. If so, remove the thinner ones when they are brown and crisp and allow the thicker ones additional time in the oven. NOTE: Paraphrased from the 100 Days of Real Food Cookbook. I have a mandolin, so I cored the apples with my corer, sliced them thin with the mandolin, and in 3 minutes I had a batch to put in the oven! Great idea and a very tasty snack! I made the chips last night and they were delicioous. I put them in a air tight container last night and just opened it to have one and they aren’t crispy anymore but more soggy. Should I have left them out overnight or did I just not bake them enough? 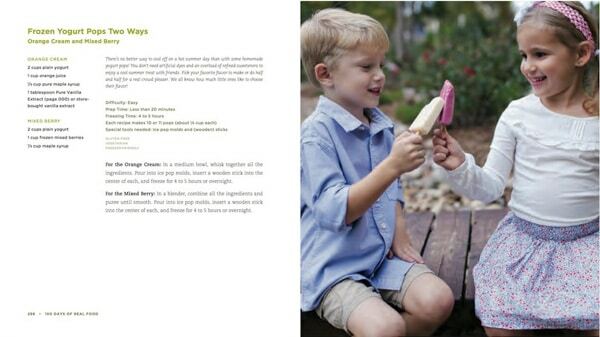 I think this makes a great healthy snack, I’m going to try it for my kids. 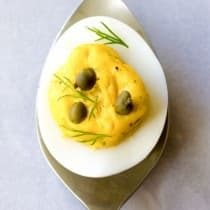 If I make a big batch of these, how long are they good for and do you need to store them in the fridge or in a container in the cabinet? I love having snacks like this handy! Love these chips! Great for the lunchbox! Always looking for a healthy snack! Looks delish! 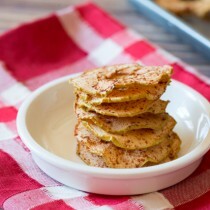 I remember eating apple chips all the time, while growing up — I LOVE this home made version!! 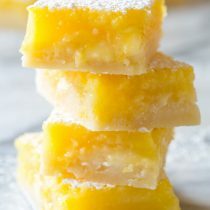 I love these healthy bites. So easy and so tasty! Such a fun idea! 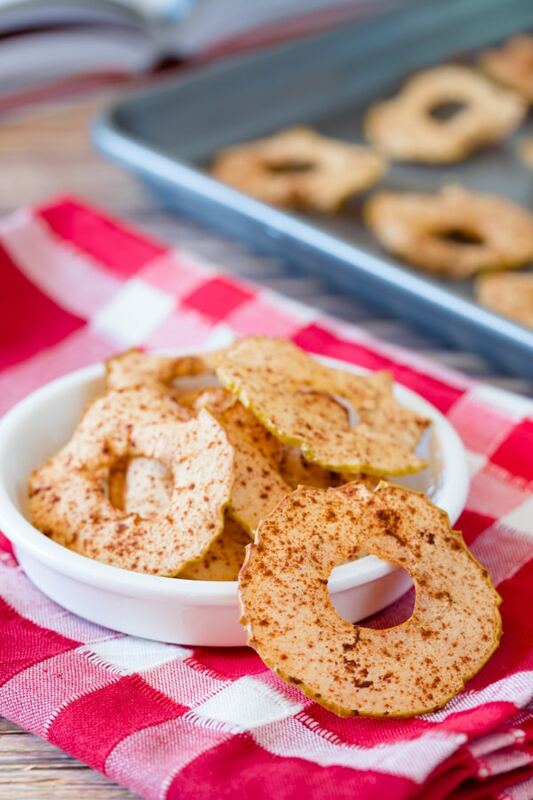 I adore apples and this is a great way to change up snacking! Sounds like a need this cookbook! We love making apple chips. Maybe that will be today’s after school activity! I never knew making apple chips was so easy, now I have to make them! 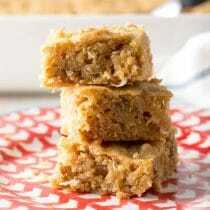 What a simple and tasty recipe! I’ve been drying apples for fried apple pies and have been wondering what else to fix. Gotta give these a try. Wishing Lisa much success with her new cookbook, it sounds amazing. cute! I am going to make these for my kids! So tired of buying those little half filled bags if apple chips, much healthier and not as expensive. How easy are these? I am in MAJAH need of some healthy snack-age for the hubs, and we are both apple FIENDS, so these are happenin’! Pinned!